The world’s fastest cycling sprinter doesn’t shatter records wearing just any sunglasses. 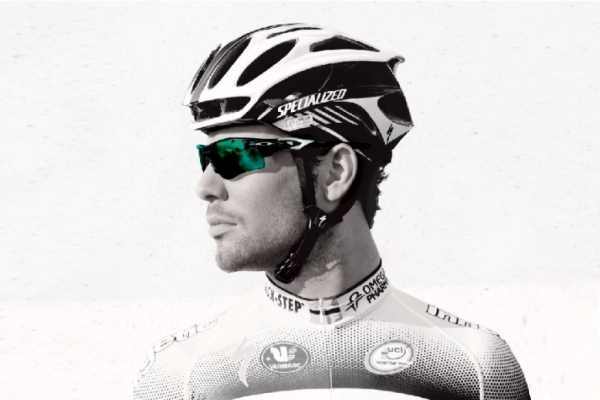 Mark Cavendish has become a legend in the most prestigious international races in professional cycling, and Oakley pays tribute to him with its Signature Series RadarLock Path sunglasses. Beyond its champion-worthy styling, these special edition Oakley sunglasses ($280) feature a fast and easy lens changing system—ideal for switching between Jade Iridium and G40 Iridium lenses, both included. Lens shape in the Mark Cavendish Signature Series is designed for optimum venting, a must-have feature for the most demanding athletes. These collector edition racing shades come with a microfiber bag for storage and a cycling cap emblazoned with the British cyclist’s signature.